Xiaomi introduced a new budget device to the Indian market. 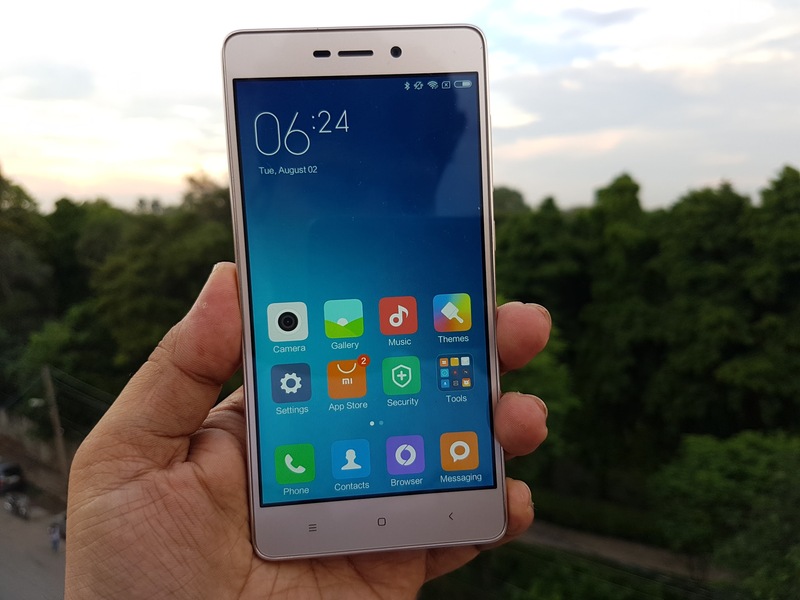 The Redmi 3s is the new budget segment device from Xiaomi and is the successor of its two old phones, Redmi 2 and Redmi 2 Prime. This new Redmi 3s comes with many new features and has been upgraded in almost every department from its predecessors. 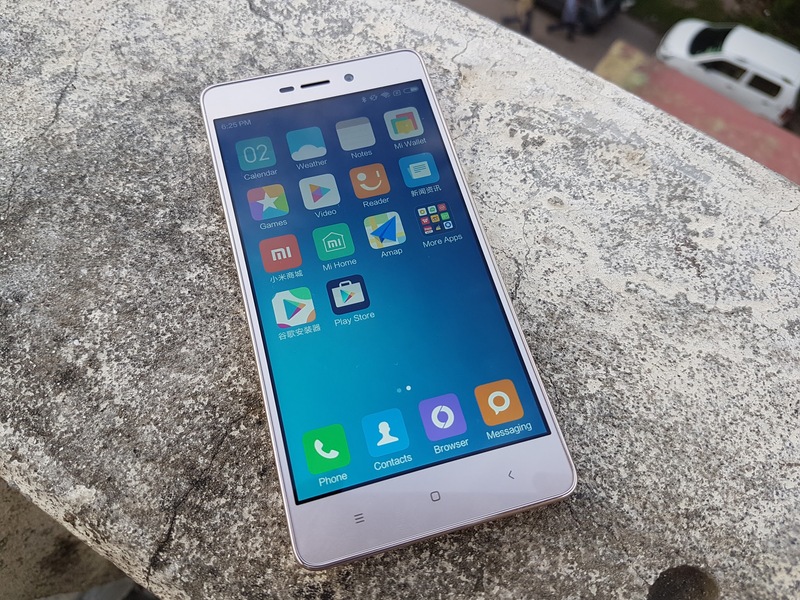 This phone has been already launched in China but took a while to get launched in India. There are two variants, one is Redmi 3s with 2GB RAM and another is Redmi 3s Prime with 3GB RAM. Redmi 3s is priced INR 6,999 for the 2GB variant and the 3GB variant is priced at INR 8,999. 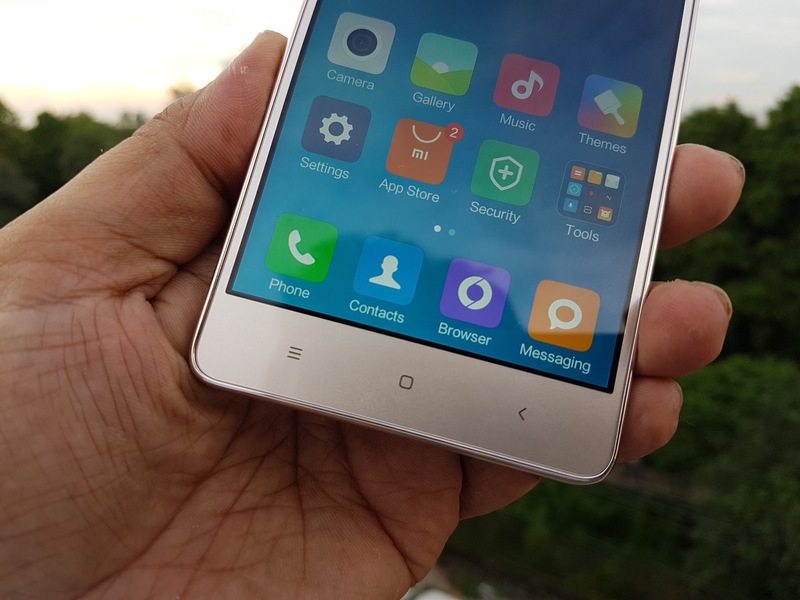 It has got a metal body and also features a fingerprint sensor at the back unlike other Xiaomi budget devices. Additionally it also features a massive 4,100mAh battery which can easily juice the phone upto two days. Answer – Xiaomi Redmi 3s has got a premium metallic design with non removable battery and solid build quality. The sides are nicely curved and handling the phone with one hand is also not much of a hassle. 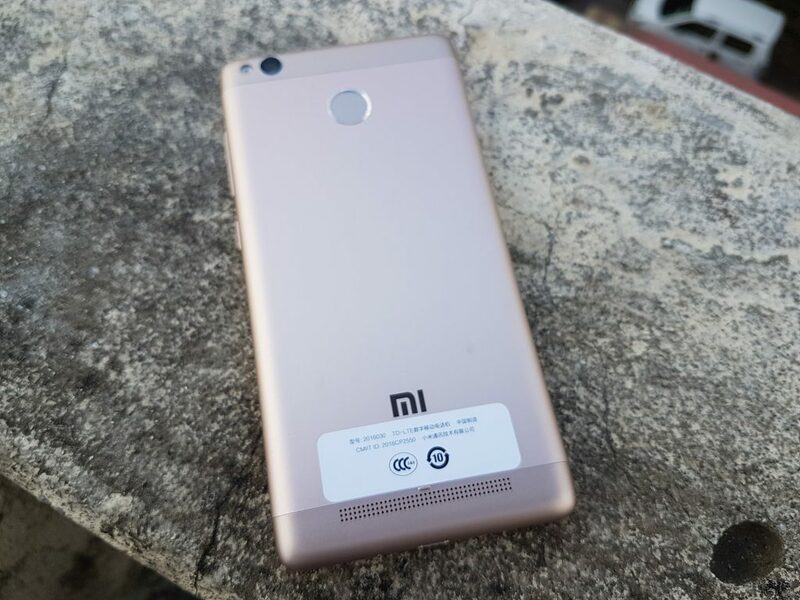 The design is actually quite similar to its sibling, Redmi Note 3 but with bit smaller form factor. The back is totally metal apart from the top and bottom part which are actually plastic for antenna reception. 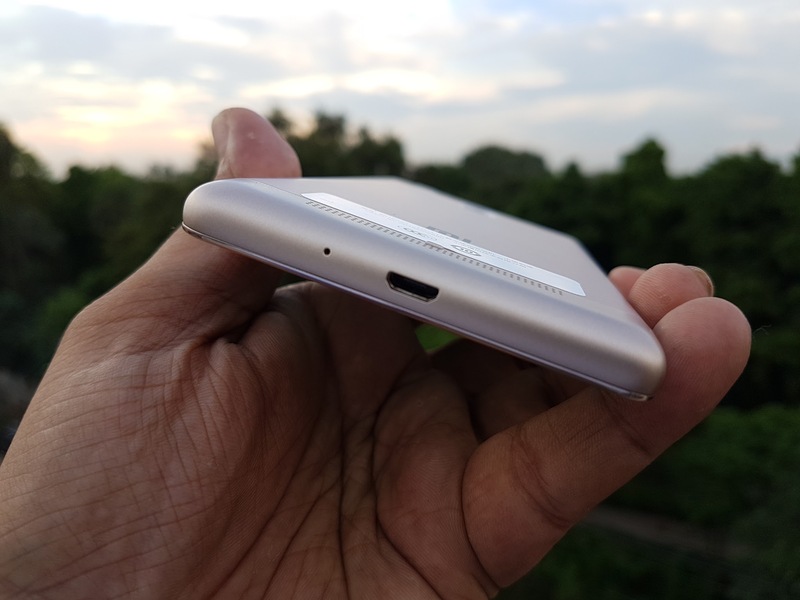 It is also fairly sleek with 8.5mm of thickness and weigh just 144 grams. Overall the design and build quality is really good for the price it comes. Answer – It has a 5 inches IPS LCD display with 71.1% screen-to-body ratio. It comes with a screen resolution of 720 x 1280 and a pixel density of 294 ppi. The display is good and sharp with good colour reproduction. 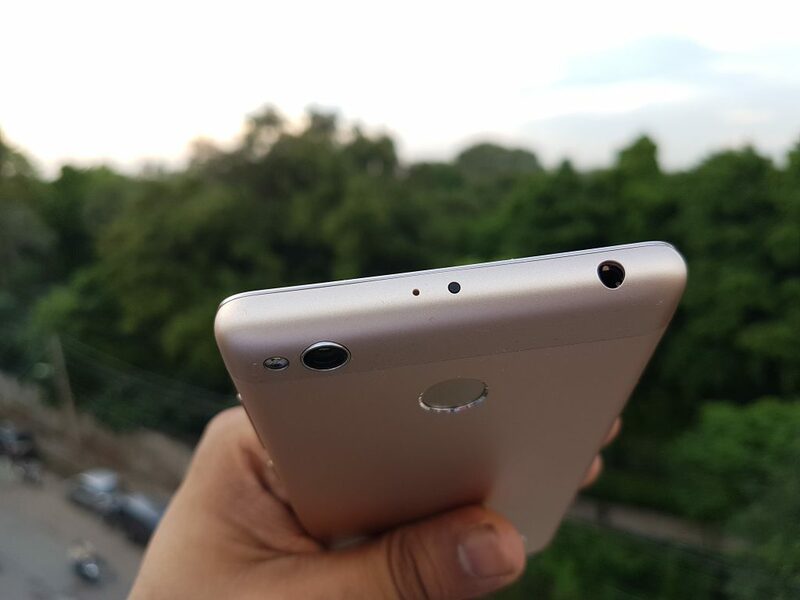 Answer – It is powered by a 1.4 GHz Octa-core Cortex-A53 processor with a 64-bit Snapdragon 430 chipset. Question – How is the performance? Answer – This device runs quite smooth in day to day usage and we didn’t face any lag or stutter in our test. It handles heavy task with ease and the multitasking also works fine. Answer – Adreno 505 GPU. Answer – Yes, there are two variant of Redmi 3s. The 2 GB of RAM variant, which comes with 16GB of in-built memory and the other is 3 GB RAM variant which comes with 32GB of in-built memory and a Fingerprint sensor. Answer – It is priced at INR 6,999 for the 2GB variant and the 3GB variant is priced at INR 8,999. Answer – Xiaomi Redmi 3s sports a 13 MP primary camera with single-LED, PDAF and f/2.0 aperture. It supports Full HD video recording @ 30fps. On the front, it has got a 5 MP selfie cam. Answer – It is backed by a massive 4100 mAh non-removable battery which can juice your phone upto 2 days with normal usage. Question – How fast is the fingerprint sensor? 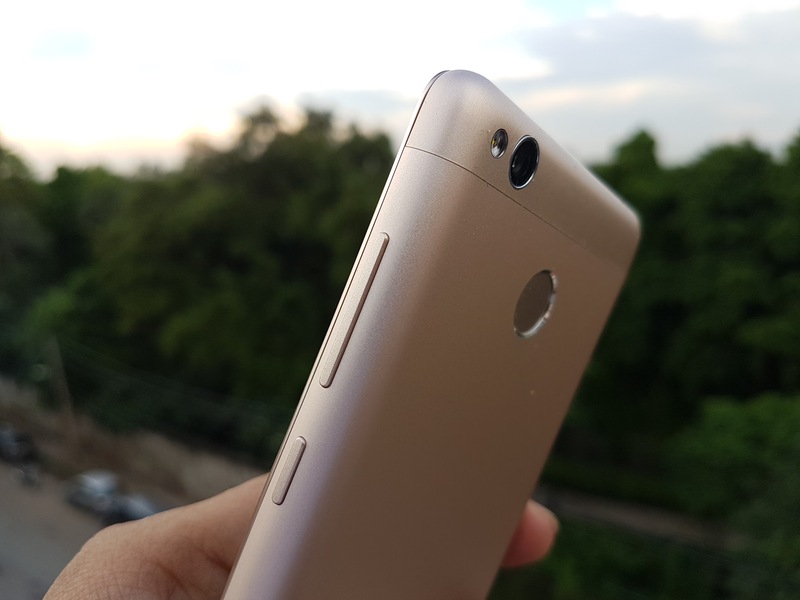 Answer – Well the fingerprint sensor is quite fast and quite accurate just like Redmi Note 3. Answer – 0.61 watt/kg is the SAR value which is under the limit. Answer – Approx 24GB was available in 32GB variant and approx 9GB in the 16GB variant. Answer – Loudspeaker is adequately loud, not very loud though. Answer – Xiaomi hasn’t disclosed about the type of protection used on this phone. 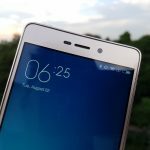 Question- Does Xiaomi Redmi 3s have Dual SIM Slots? 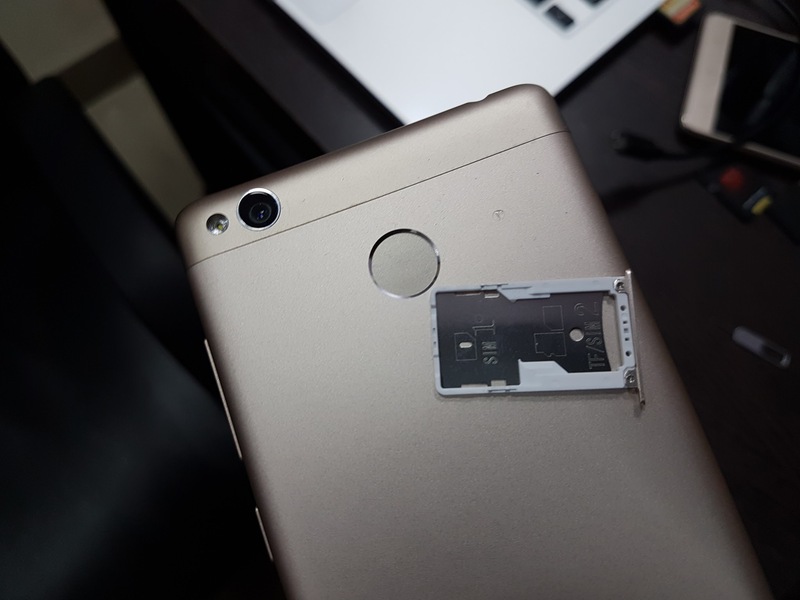 Answer – Yes it has got a Hybrid SIM card slot like Redmi Note 3. It can either take two SIM cards simultaneously or a SIM card and a memory card in the other slot. Question – Does it have an IR-Blaster? 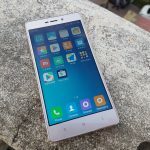 Question- Does the Xiaomi Redmi 3s supports USB OTG? 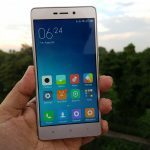 Question- Does the Xiaomi Redmi 3s have VOLTE support? Answer – Yes it supports VOLTE. 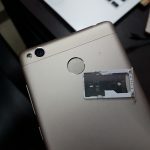 Question- Does the Xiaomi Redmi 3s Have micro-SD Expansion option? Answer – Yes memory can be expanded via Hybrid SIM-card slot. Question- Does the Xiaomi Redmi 3s support Adaptive Brightness? 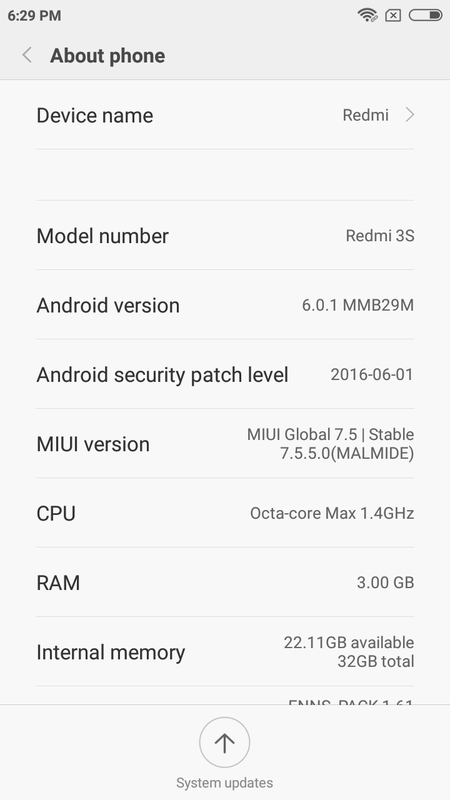 Answer – The phone runs on Android Marshmallow 6.0 with MIUI 7.5 on top and soon it will going to get the MIUI 8 update. 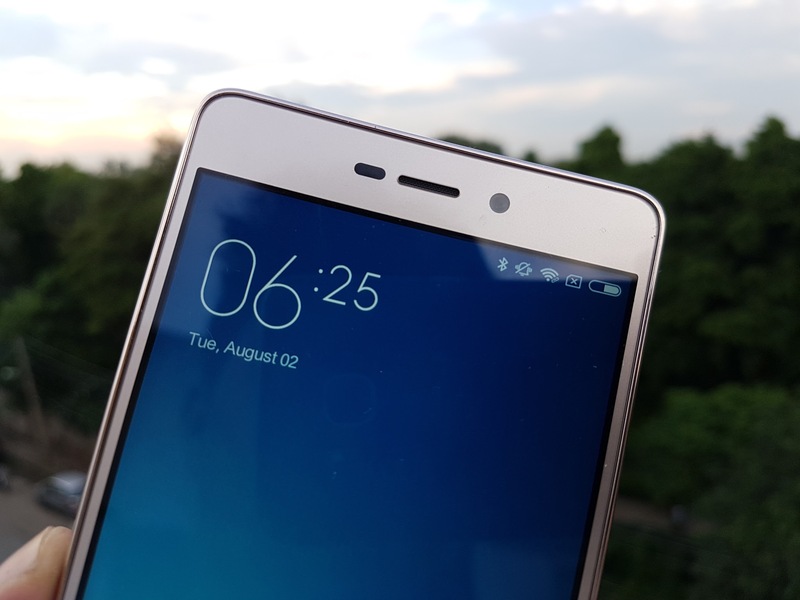 Answer – Xiaomi Redmi 3s packs a Fingerprint, accelerometer, ambient, gyroscope, proximity and compass sensors. 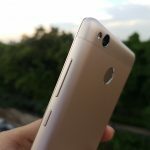 Question- How is the camera performance on Xiaomi Redmi 3s? Answer – The camera performance is good, nothing exceptional though. It performed quite good in natural lighting condition and struggle a bit in artificial lighting condition. Front camera also takes good selfies and overall the camera performance was quite decent. Answer – Around 1.8GB was free in the 3GB variant and 782MB was free in the 2GB variant on the first boot. 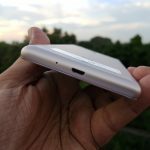 Question- How much does Xiaomi Redmi 3s weigh? Question- Does it have backlit keys? Answer – No, the keys aren’t backlit. 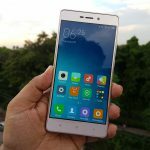 Question- Can we use Xiaomi Redmi 3s with VR Headsets? Answer – Yes since it has got the gyroscope sensor, we can use it with VR headsets. Question- Does the Xiaomi Redmi 3s offer theme options to choose from? Question- Are both variants have Fingerprint sensor? 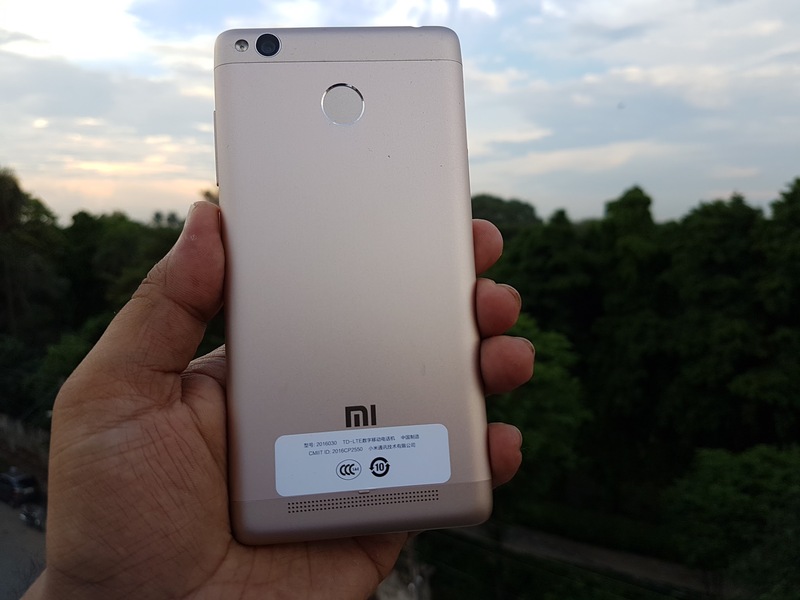 Answer – No only the 3GB RAM variant (Redmi 3s Prime) has the Fingerprint sensor. Question- Where these both devices will avaialable to purchase? Answer – Both devices will be available on Flipkart and MI official site for purchase from 9th August onward. Answer – Call quality is up to the mark and we didn’t face any issue or whatsoever. 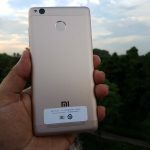 Question- What Color Variants are Available for Xiaomi Redmi 3s? Answer – It is expected to come in three color variants namely Silver, Gold, Dark Gray. Answer – Gaming performance is quite decent. This device was able to run most of the graphics intensive games with little bit of frame drops here and there but nothing major. Overall games ran quite smooth on medium or low graphic setting with little bit of frame drops which is quite acceptable considering it’s just a budget phone. 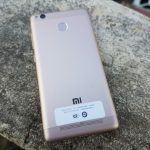 Question- Does Xiaomi Redmi 3s have heating issues? Answer – We didn’t face any major heating issue in this device while testing. 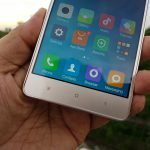 Question- Can the Xiaomi Redmi 3s be connected to a Bluetooth Headset? The phone offers a lot of good features although being a budget segment phone. The fingerprint is quite fast and accurate, camera is decent, performance is smooth and games also run without a hassle. The use of metal in the body makes it look quite premium and this is something which is rarely seen in budget segment devices. Overall this device impresses us in almost every department and makes it a good deal for the price it comes for. 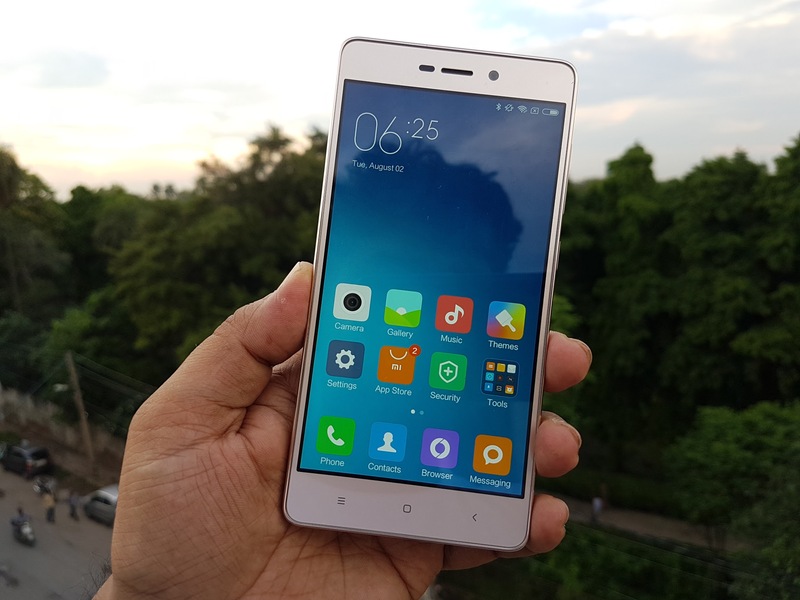 Redmi 3S Prime pricing is little close to Redmi Note 3, for extra 1000 bucks we get Redmi Note 3, which has way better specs and excellent Value for money product. No doubt Xiaomi offers excellent Value for money. In my opinion the pricing for Redmi 3S and Redmi 3S prime should have been Rs. 5,999/- and Rs. 7,999/- respectively.